Kentucky auction hunters can take advantage of frequent storage auctions and good general turn over for passerby that rent a locker, fill it full of goods and then reneg on their payments while out of state. The Bluegrass state has about 750 self storage facilities that may come up with active auctions in a given year, and this diverse profile of storage companies, coupled with a high rate of repossessed storage lockers, leads to anywhere from 30-50 auctions in a given month! There’s plenty here to keep a hungry auction buyer satisfied and raking in the good units. Obviously, the rural areas outside of the cities are a bit slower on turning around delinquent storage lockers, because they need only do so when they’re at full capacity and need to free up space for paying customers. Otherwise, who needs the hassle, right? You can find plenty of good locker sales in Kentucky’s major cities, however, including Lexington and Covington. Lexington is famous for its horse racing and the gambling that goes with it, so it’s little wonder that the same folks would be interested in taking a chance on a storage unit that could be full of lucrative goods, commercial equipment or valuables like jewelry and electronics. 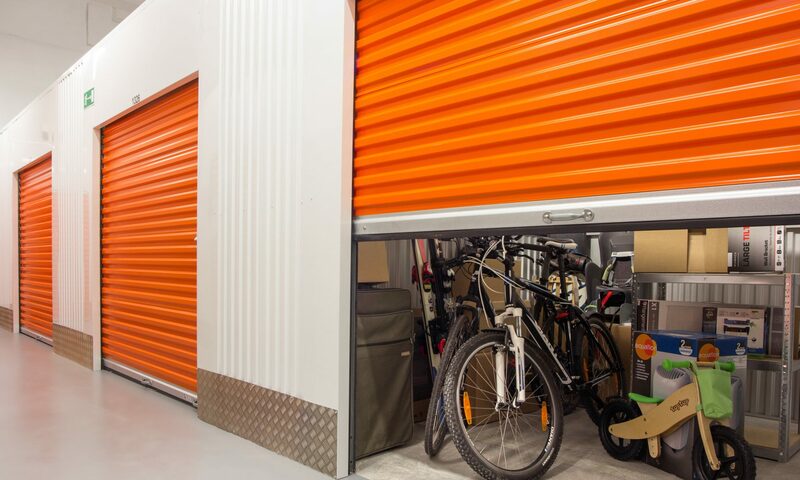 If you live inside or near Lexington or Covington you can expect to find at least a couple of storage unit sales per week, which will provide you plenty to go on if you are launching a small business or re-selling what you find in the auctions for profit. There are also some great storage sales that occur near Bowling Green, Owensboro, Somerset and Frankfurt. You just have to know where to look! Ordering premium storage unit list subscriptions will keep you up to date with every repossessed locker sale in the state of Kentucky. You can either pay a small fee per month, or you can lock in the biggest savings by subscribing for an entire year and getting the maximum discount possible. Every month, you’ll receive a complete drill-down of every upcoming sale in Kentucky, including all the wealthiest counties like Shelby, Anderson, Woodford and Oldham counties. Each month’s list will include everything you need to be first on the scene and maximize your auction buying profits, including the facility name and contact number, its complete address, the date and starting time of the sale, and sometimes even a general description of the goods to be found inside. Imagine having everything laid out for you and never having to make another phone call – all you have to do is pick a lunch spot in between auctions. Many professional storage auction buyers find that these listings help them focus on what really matters for making money with storage sales – buying low and re-selling high. The more free time you have, the higher the volume of goods and equipment you can move. The higher the volume of equipment you can resell, the greater your actual profits. Best of luck with your storage auction unit hunting in Kentucky.